The overall objective of this assignment is for a small team to support the newly-formed organization in establishing effective Business Units and in undertaking associated Capacity Building. (a) Define core principles in establishing business units within large organizations and apply these to the particular case of the client. (b) Work alongside with Director of Business Development (DBD) to review and revise strategic policies & plans and business policies & plans for the client, noting actions to complement and improve these instruments by establishing Business Units within the new organization structure. (c) Work alongside DBD to review and refine the organizational structure for the client that supports adopted strategic plans and business plans. (d) Work alongside DBD to reset the organizational culture within the corporation such that the influence and the effectiveness of the Business Units within the corporation are optimized. (f) Work alongside with the DBD to propose an optimum structure for a focused Business Unit and define detailed roles and responsibilities within each of the new Business Units. (g) Work alongside with the DBD to propose an internal commercial framework and define commercial relationships within the organization (probably through ‘Service Level Agreements’ and their associated template documents) and commercial/financial goals. Assist in setting up appropriate cost and profit centers. (h) Work alongside the DBD to implement and integrate the commercial framework utilizing champions, joint transition teams, and seminars/workshops. The strategy should be constructed around the principles of staff engagement and ownership, noting that inspirational leadership within the organization will be critical in motivating staff to accept and promote change. (i) Design comprehensive capacity building programs for staff within the new Business Units in the organization based upon the concept of empowering & enabling through training, coaching and mentoring. In parallel, design training programs for other staff in the organization with the aim of introducing to them the concept of Business Units and realigning the internal culture as one that is more market/business-based than service-based. (k) Compile outline specifications for a bespoke ‘Executive Support System’ (ESS) or ‘Management Accounting Information System’ (MAIS) for managers within the organization, based on a business-led organizational philosophy. (l) Conduct all the capacity building programs as specified in Scope Item (i). (m) Enhance the role of the four new Business Units. The Business Units are expected to be fully functional within ten months of the start of the assignment, including setting up of systems for allocating the cost of service provision for activities related to each of the four Business Units. This list is not exhaustive and the Advisors should be prepared to consider other lines of activity as considered appropriate in order to achieve the objectives of the assignment. The Advisors shall, for example, review the cost structure of ’operation and maintenance’ activities and fairness of each cost allocated to each respective Business Unit. They will also assess the minimum volume of traffic to attain financial viability of each Unit. Candidates must have a minimum of a master’s degree in business administration or an allied subject. She/he must have at least ten years’ experience in business management, of which at least five years will have been in a transport environment, preferably railways. She/he should have experience of at least three years in setting up or working in a business unit. She/he will have contributed to at least one major change program with a duration of not less than 12 months or two major change programs each with a duration of not less than six months. The duration of the assignment is 13 months. The location of the assignment is Dar es Salaam. 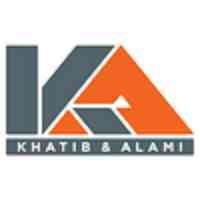 Khatib & Alami (K&A) creates, designs, supervises and manages projects that have the potential to better society. We build on our proven multidisciplinary expertise and offer regional urban planning and comprehensive architectural and engineering consulting services. K&A focuses on delivering innovative solutions that meet clients' real needs. With a history of success and a network of subsidiaries and sister companies, we provide our clients with an integrated approach to reliable project delivery in the evolving globalized world. Proactive rather than reactive, we are at the forefront of new specialties and advantageous alliances. We are here to enhance people's lifestyle and the economy through our distinctive and continuous services. Our adaptability and solid communication between branches mean we deliver results against all odds and external challenges. With our unique level of service and anticipation of market trends, we strive to make sure you ensure our clients are satisfied, regardless of the size of the project.